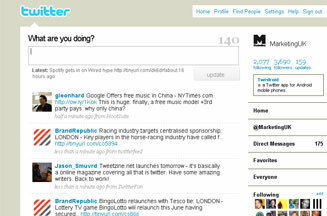 LONDON - Twitter has changed its profile pages to list personal conversation replies as 'mentions'. In the Twitter sidebar, users will now find their own personalised @username tab. When they click that tab, users see a list of all tweets referencing their account with the @username anywhere in the tweet, instead of only at the beginning which is how it used to work. The change has been made as people often include username mentions in the middle of tweets as a way to reference another account.